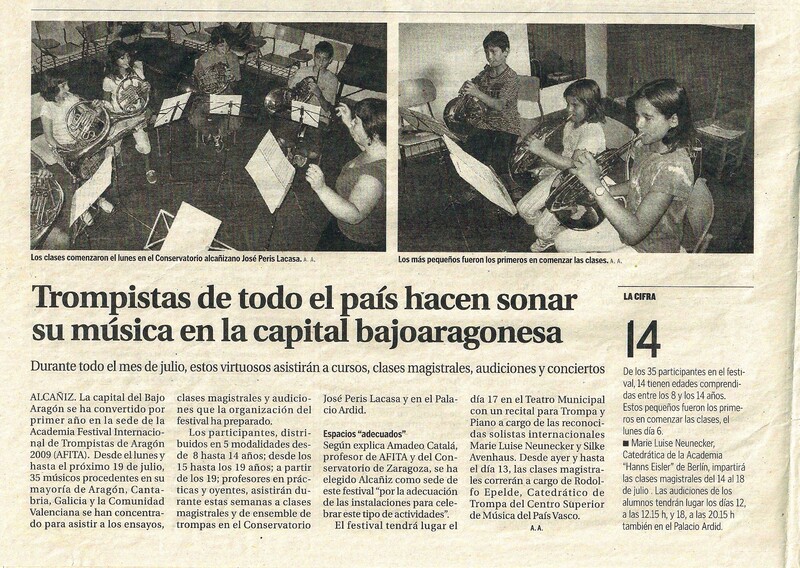 ¡The main goal of this project is to develop a coordinate and stable pull of junior horn players from the Professional Conservatories of Aragon (Alcañiz, Huesca and Zaragoza) providing it with technical resources (updating of Aragonese teachers and students through the Professors of Berlin and Maastricht) and providing Aragonese students with contacts with well known french horn pedagogues in Germany and Holland if, in the future, they want to continue their Higher musical education. IHAFA has come to be a unique meeting opportunity for amateur and professional horn players from all over Europe. Academy: individual master classes, horn ensembles, Orchestral repertoire, teaching practice and leisure time activities (theatre, sport, etc.). Festival: involving performances of all the students and/or teachers who participate in the project. 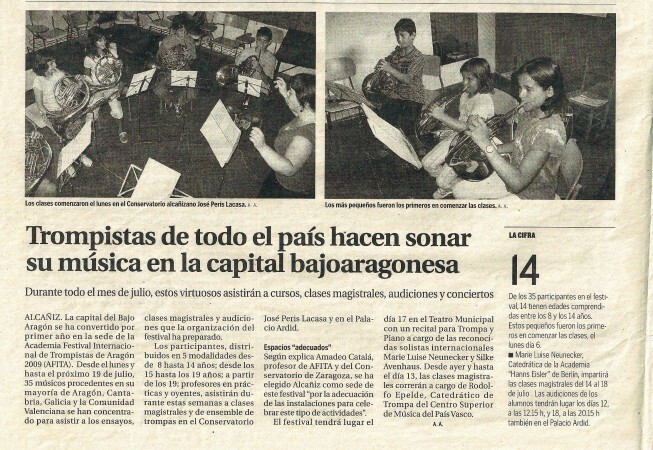 Horn Master class (6 to 19 Jully 2009) with Rodolfo Epelde and Marie Luise Neunecker. Recital for French horn and Piano by Marie Luise Neunecker and Silke Avenhaus. 2 Students concerts (number of participants students: 35).